Allentown and Sacred Heart Hospital Center/LVHN Cedar Crest in 1974. 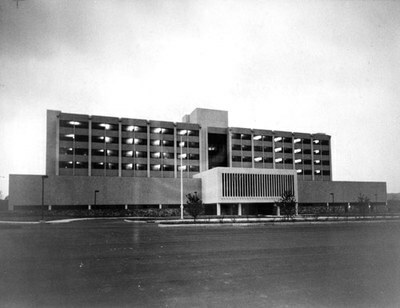 The Allentown and Sacred Heart Hospital Center rose seven stories when it opened in 1974. The facility became Lehigh Valley Hospital Center in 1982 when Sacred Heart return to independent operation.